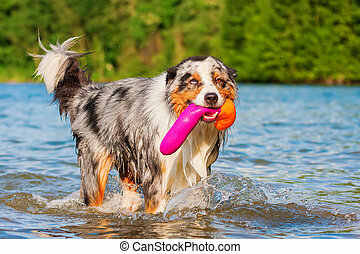 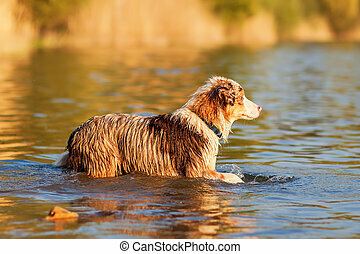 Australian shepherd dog stands in a lake. 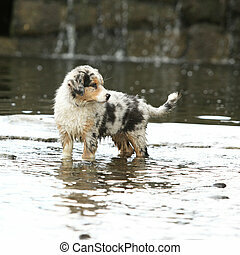 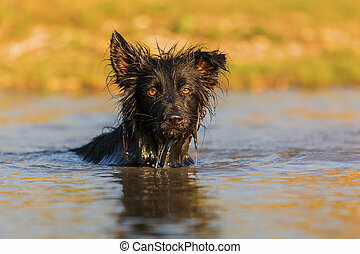 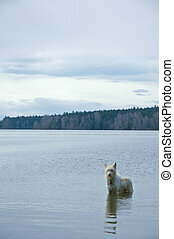 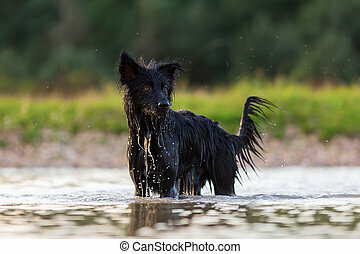 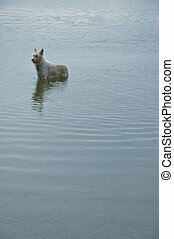 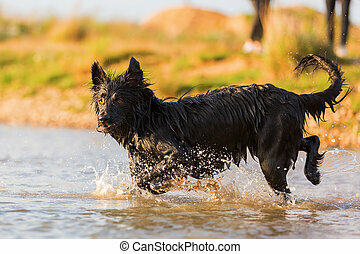 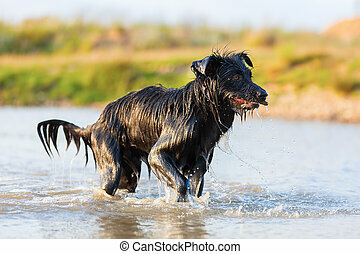 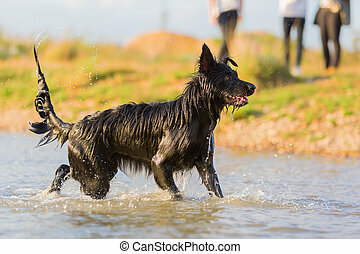 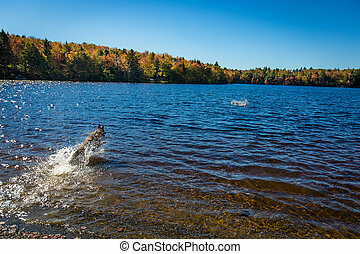 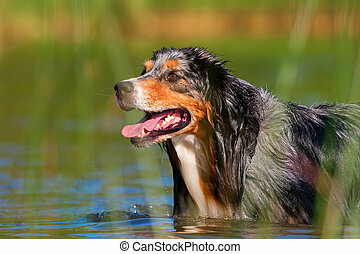 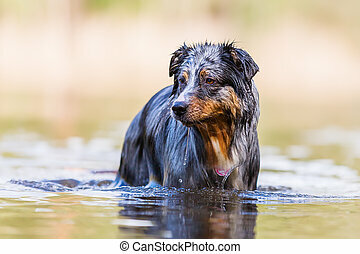 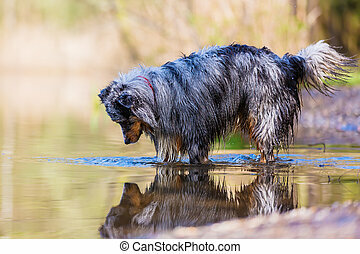 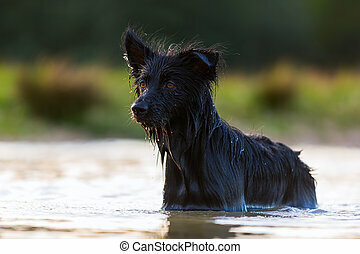 Australian shepherd dog stands in the water of a lake. 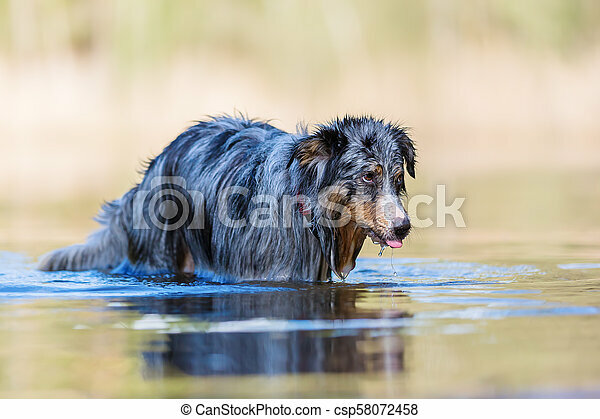 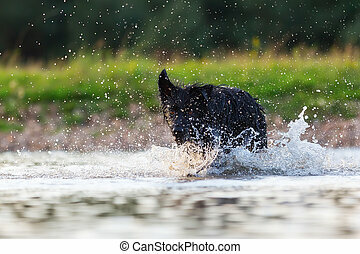 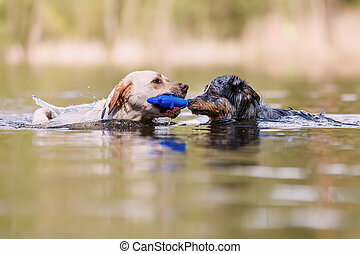 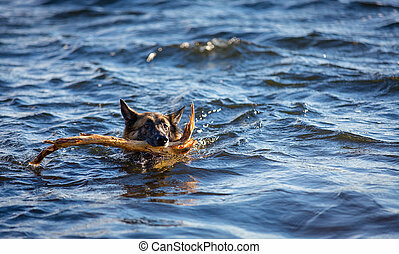 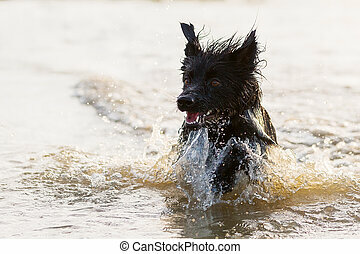 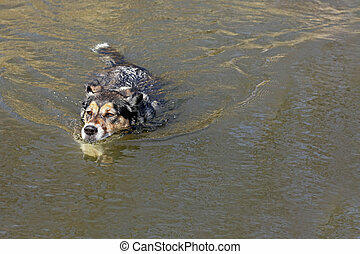 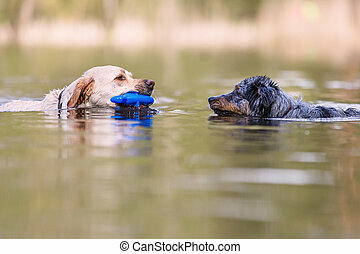 A cute German Shepherd Mix breed puppy dog is swimming in lake water on a summer day. 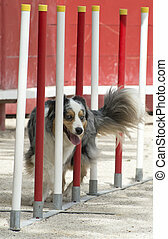 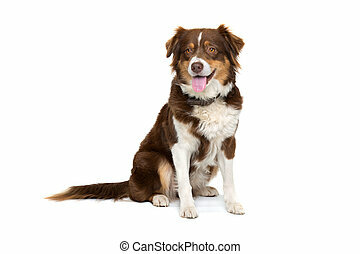 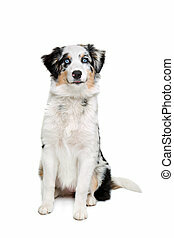 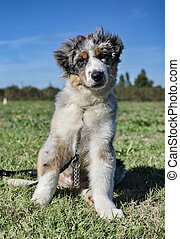 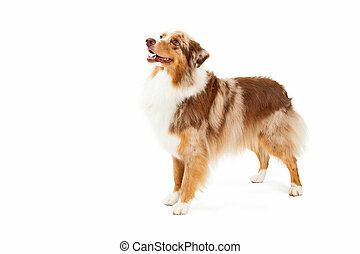 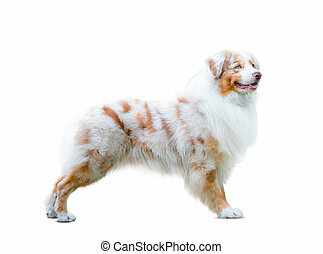 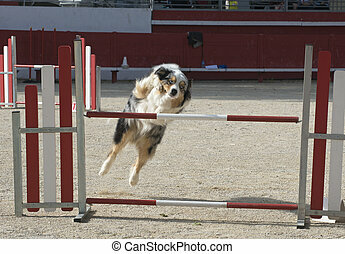 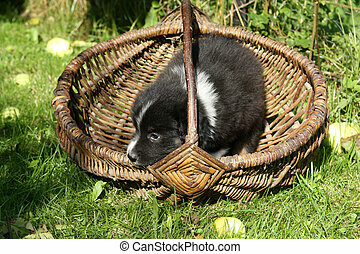 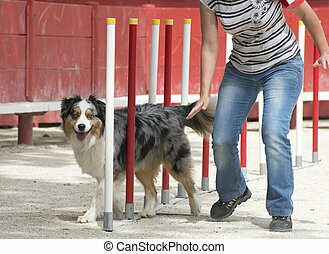 A beautiful Australian Shepherd Dog standing at an angle while looking off to the side.